Are you a Tree Lover? Do you admire trees and tell others about your favorite trees? The City of Seattle has a program just for you: you can become a Tree Ambassador. The Tree Ambassador program is for those who want to help nurture their neighborhood trees. Tree Ambassadors can help build community and heighten awareness of and appreciation for the natural environment. Tree Ambassadors can develop tours (tree walks) which can be printed and posted as a resource, or led as a public event. Other Tree Ambassadors are interested in landscaping projects. They can identify a site which needs work, such as removal of invasive species. Applications are being accepted now — apply by March 17th for Tree Walk training or Landscape Renewal training. 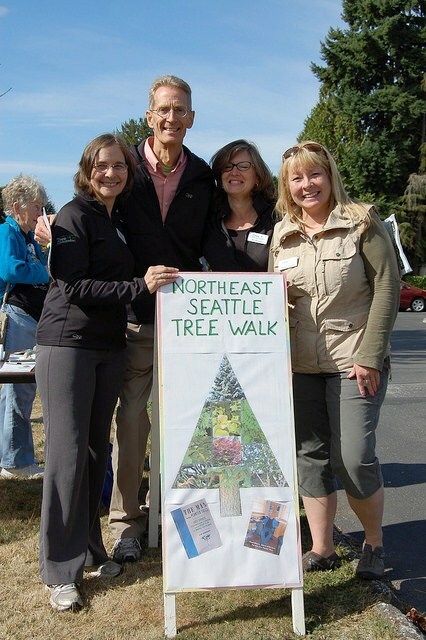 This entry was posted in Nature and wildlife, trees and tagged Seattle, Tree Ambassador, walking tours. Bookmark the permalink.